Shout out to /r/canberra on reddit! It is true however, the crew from batteredsav.com have made a vegan sav! Maybe you can make your own batch animal friendly savs at home! Just wanted to say THANX ... for the B. Sav concockshon! :-)) I love the Yanks. Wazza. Our friendly sav enthusiast have2sons has written a detailed sav recipe with a secret technique for the best batter. We will definitely try it next time we arc up the Savinator. "I have noticed that you have not review many Savs in Victoria. I will make it my own personal endeavor to review some Sav locations around Melbourne, to enable fellow Sav lovers to get their fix if or when they are in Melbourne. I am an avid Sav fan and have a particular weakeness for the "Battered Sav in a Hot Dog Roll" for those who have not tried it, it is a worthy snack and I recommend you try it soon. I look forward to giving you guys essential intel for a trip to Melbourne. Regards Wal"
Thanks for the hot dog tip we will definitely give it a spin. In other news, we should have some reviews ready in the next week or two for everybody's perusal. And to celebrate (amongst other things) I ate (amongst other things) a sav! Read all about D.J. Blyth and his craaazy sav!. Please notice my second pun in the review which I am quite proud of, but beefsack missed all together - which I guess is excusable at 1:30am on a 'school night'. After getting hacked, I have finally cleaned everything up and the site is up and running again. Forum updated - spammers away with you! Updated the forum to the latest version of SMF today, hopefully will curb a few spammers with its new security system. Terribly sorry for the downtime over the last week, the domain is back in our hands and everything seems to be in working order again. It's been a while since our favorite angry mate has contributed (hell it's been a while since anyone's contributed) but Awesome Wolf's come back especially to reinforce what I said about Theo and to shed some new light on another kippax sav Bon App├ętit. Our devoted savee Pornbat has written us a delectable review on the Banks sav. Read it here. Sav has moved to its new home! I have just invented the word newety and we have just uploaded a bunch on new features. you can now see how many comments a news item has and some 'under the hood changes' for us admins. also Awesomewolf and BJ have been given contributer permissions so their reviews and articles don't go through the same rigourous approval proccess as everybody else's. Submit a worthy review and you could be a certified contributer, free from the tyrany of our power triping. I noticed the arcade was getting a bit stale, so I got rid of the old games, and added 67 new ones. And a reminder to users, we wanna see more reviews, there was a lot of coding done last night and more coding is scheduled today to make batteredsav.com more user friendly and less bug friendly, hope to see those reviews flood in. there's new stuff on the sav. woo! I have finally written up the sav science. Forgive me if it's not informative or funny, but i'm tired. No doubt someone with admin access will read it, be horrified and take it down post-haste, but we'll see how long it survives. With no further ado, here is the long awaited third sav science. Let me tell you a story: Beef and I went into a random shop yesterday to make some various enquiries and the shop keeper goes "GOOD GOD! you're the fella from batteredsav.com"
This relisation of our widespread fame has been a reminder to us that this site is important and the entire battered sav community would be poorer for losing us... more reviews to come :D.
I just went on a short trip to Sydney and decided to sample some savs while I was there. Please enjoy the Central Station and Circular Quay reviews. Hopefully we can organise a Sydney sav adventure with a million reviews soon, or if any Sydney siders want to review too they are more than welcome. A great review by Awesomewolf on the Kambah trailer sav. Check it out now here. Now that the site has gone live, some problems have arisen that managed to fall through our strict testing scheme which lasted about 5 minutes before release. A bug has been removed where the comments weren't in chronological order, and a bug in the admin system has also been removed. But now most things are working how we want, we will add dates to the comments so you can see when they were posted, and after that there will be more site features on the way. Also looking at keen sav eaters (BJ) and master reviewers (Dave) to submit some stuff if they have the time, particularly the Indian review by Dave if he has the time to copy it out of the forum and paste it into the contribute section of the site. A note on the mouse mats, wow they sold fast and were a huge hit, our first run all sold out, and if people are interested who missed out the first time, if they could comment here and show their interest we will see if its viable to do another run and how many to get. Since the first run put me and Steve at a huge loss, we will have to increase the introductory price from $10 to the whopping huge price of around $11. Kicking yourself now that you didnt get one first round arent you! More reviews to come, stay tuned. Hello and welcome to the new look new feel new vat batteredsav.com which we have been working labouriously over for weeks. Out is the giant link pictures, although the trademark spelling errors remain. Sav 2 is here. Sort reviews by score, name, state etc. Simple data entry system, which means more updates more often! Fancy sav logo, designed by a real designer! Thanks goes to Steve G for that one. To coincide with the big update, we have also added a lot of site content for you to enjoy! 4 reviews and a sav recipe for you to feast your eyes on. And the super secret recipe, the Sav Milkshake!! But before you do, click on the register link below the menu now to register your user and start participating in the new batteredsav.com! Please note that your forum account and main page accounts are separate, so even if you have a forum account you will need to do the quick and easy registration process. 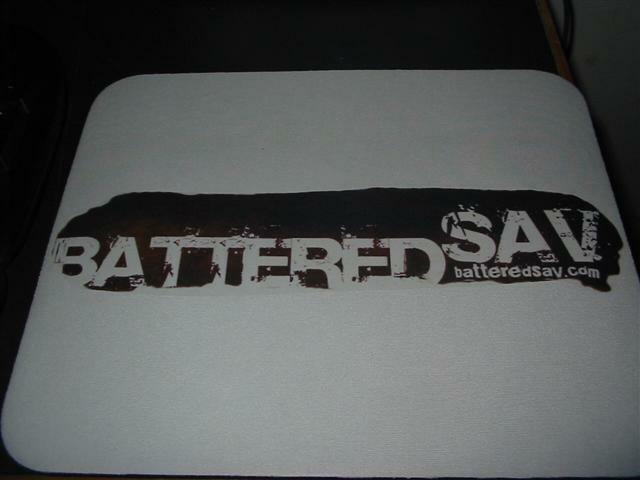 Thanks for supporting batteredsav.com and please enjoy the second coming of batteredsav.com! Now go and review your favourite local sav!